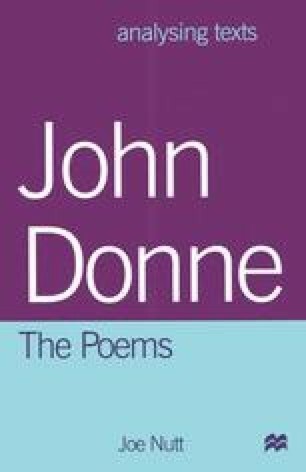 Donne’s poetry has, in the past, been the object of censorious editors and critics. The simple truth that he wrote a large number of poems dedicated to the worldly experience of men pursuing women, yet as many entirely set on the divine, has frustrated and annoyed many earlier readers who frequently ignored one or the other in their confusion. We live in a less censorious age, but the dichotomy is one the twentieth century has been every bit as eager to demolish. It is not hard for us, in our post-Freudwinian heaven, to see that a man can write about love and God, and indeed seek both. Yet the tradition still persists that, in some odd way, the John Donne who wrote the love poetry had to become a different, chastened individual for him to write the divine poetry. His ordination is already neatly in place to act as the perfect explanation, as though after it he somehow became, not only obsessed with eschatological thought (concern for the fate of one’s soul) but celibate into the bargain.